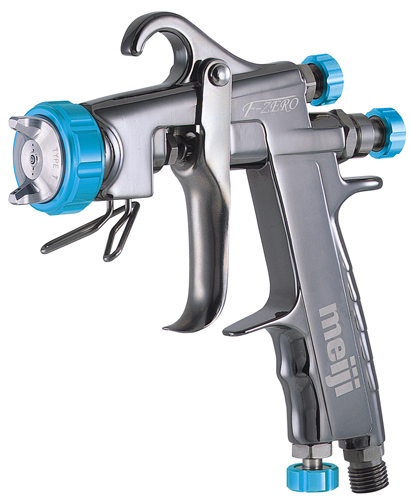 High end Meiji, side cup spray gun for High metallic base coats. 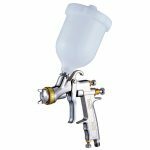 “Type T” creates the finest atomization and less irregular surfaces. It is suitable for metallic and pearl base coat paints which require a painter to create a high luminance mirror finish. 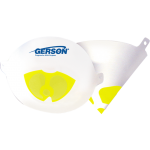 It is designed for painters who prefer to spray from a short distance in order to create a thinner layer of metallic or pearl paint. “Type T” creates thin homogeneous layers of coating film and is therefore suitable for tint gradation spray. 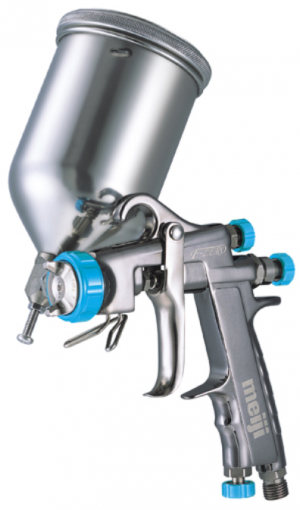 This model is designed to maintain the finest atomization even when it is used at low pressure with low spraying air volume, which is the setting required for tint gradation spray.